Adidas Yeezy Boost V2 "Semi Frozen Yellow"
adidas will be releasing adidas Yeezy Boost 350 V2 Semi Frozen Yellow as part of the December 2017 Holiday line up. 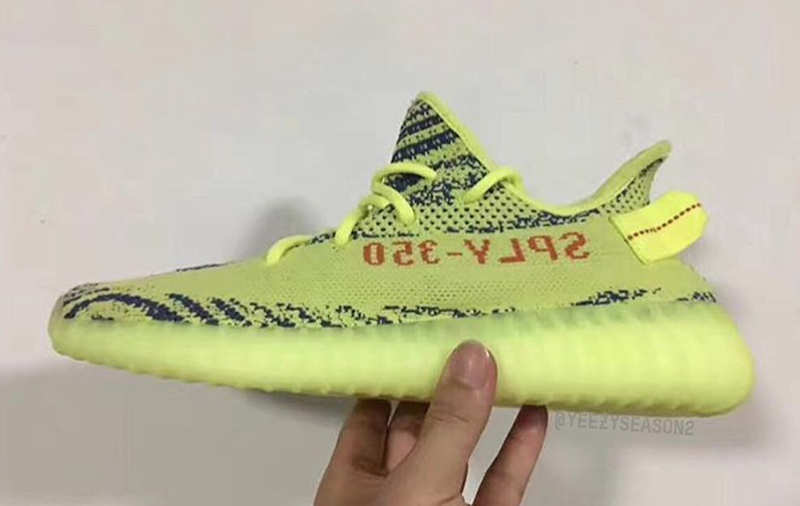 The adidas Yeezy Boost 350 V2 Semi Frozen Yellow is seen here for the first time featuring it’s final colorway with SPLY-350 detailing. The adidas Yeezy Boost 350 V2 Semi Frozen Yellow is set to release for $220 at adidas retailers across the globe. Stay tuned with Modern Notoriety for a release date on the adidas Yeezy Boost 350 V2 Semi Frozen Yellow.